On this page you can download ForceWare 174.74 XP (64-bit) WHQL. For the second time around NVIDIA updated it's NVIDIA ForceWare 174.74 driver. This driver comes with full support for all current GeForce graphics cards from the GeForce 6, 7, 8, and 9 series and now comes with WHQL certification on 'some' Graphics cards..
Download mirror link one is WHQL certified yet only has support for the new Series 9 cards, the rest is not supported. Download mirror two serves the previous BETA version, same stuff, yet not microsoft tested and approved, this set DOES support all series 6, 7, 8 and 9 GeForce graphics cards. Supports single GPU and NVIDIA SLI™ technology on DirectX 9, DirectX 10, and OpenGL, including Quad SLI technology with GeForce 9800 GX2. 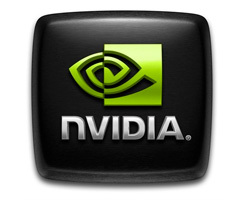 Adds support for NVIDIA GeForce 3D Stereo Technology for GeForce 6, 7, 8, or 9 Series GPUs, including SLI technology. Improved performance on many DirectX 9, DirectX 10, and OpenGL applications. Numerous game and application compatibility fixes. Please read the release notes for more information on product support, features, driver fixes and known compatibility issues. Have you read our GeForce 9800 GTX article already ? Note: If you have problems downloading ForceWare 174.74 XP (64-bit) WHQL, please try to stop using your download manager and avoid right clicking on files. Also, check your firewall settings, because some mirrors may require that you do not block the HTTP referrers.